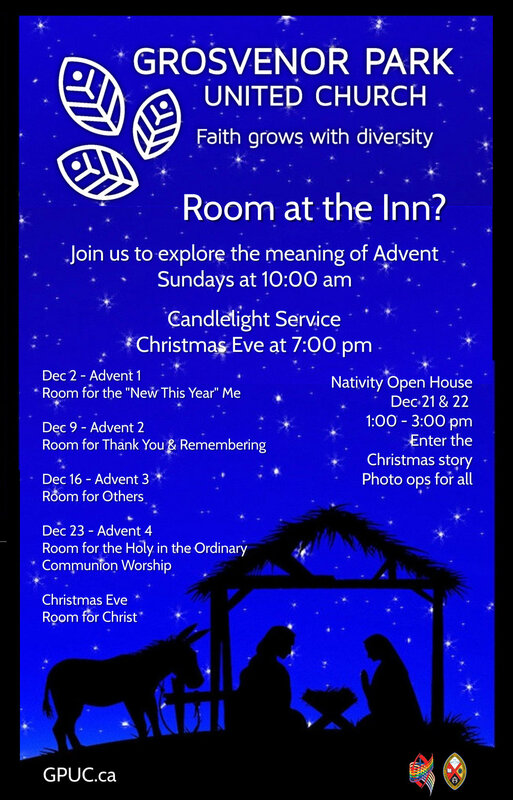 Join us to explore the meaning of Advent. On December 9 we’ll focus on Room for Thank You and Remembering. During the service we’ll share names of the recently deceased. Please join us for refreshments downstairs after the service.